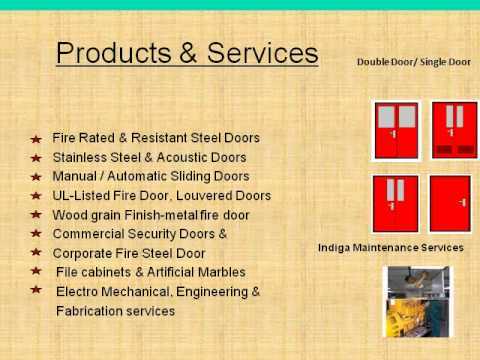 Welcome to Indiga Tech Building Solutions Private Limited, Manufacturer and Exporter of Fire Rated Doors. The company was established in the year 2007, at Bengaluru. We are a Member of EEPC, RCMC, SSI and MSME. Our client list includes Shoba Developers and Krishna Shelters and we are backed by Efficient after sales services. Artificial Marbles, Engineering & Fabrication Services are some of our products and services. 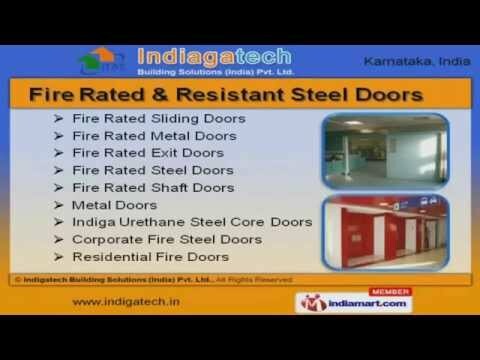 Our Fire Rated and Resistant Steel Doors are best in the industry amongst others. We offer Fire Resistant and Steel Sliding Doors that are widely acclaimed in the market. Commercial Security Doors and Fire Security Products offered by us are extremely reliable. Our clients can avail from us an exquisite range of Fire Door Accessories, File Cabinets and Artificial Marbles. Along with that we offer Electro Mechanical, Engineering and Fabrication Services are one of the best in the market.